You don’t have to understand Neuroplasticity to take back control of your health and understand that you are the most influential person in your life. Change can become easier when you understanding how brain function influences who you are and how you experience the world AND how you can influence brain function. 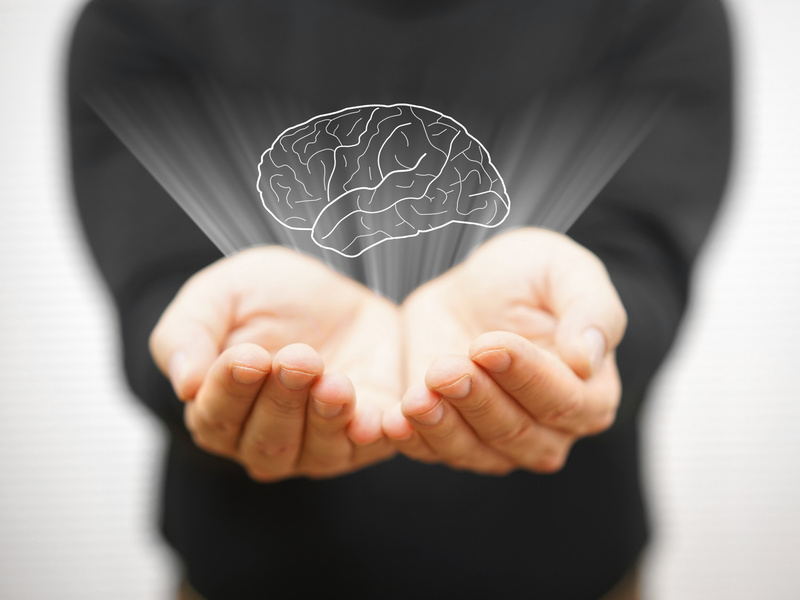 Neuroplasticity shows us that the brain is the most trainable and flexible organ we have. Change is in your control. When I first started this work I remember giving a talk to a local health care clinic and I had to explain the term Neuroplasticity and how it relates to pain, fatigue, anxiety & trauma. A lot has changed since then but NEUROPLASTICITY is still often not fully understood. Most of us has grown up not thinking too much about our brains or its role in everyday basic function. We obviously knew it was a vital organ but we often misunderstood the role it plays and few thought they could actively influence their own brain. Just how import is the brain? Well we no longer talk about an immune system or an endocrine system. It is the neuro-immune -endocrine system because of the driving role of the brain plays. This has given rise to the field of science called psycho-neuro-immunology (PNI) – how psychological process interact with immune and endocrine function. How we experience our body or the world around us is a brain process. We see, hear, feel, smell, taste because of how the brain process the information coming from our senses. 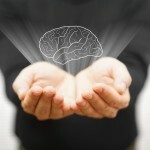 Our senses send the information to the brain and what we experience is the brain’s ‘best guess’ of what’s ‘out there’. If the processing of this information is altered even slightly, our experience of ourselves and the world changes. We also now know how a traumatic experience changes the brain to protect us. And more recently it has become clearer that chronic pain and chronic fatigue are very different from acute pain and acute fatigue and are less ‘body’ issues but rather issues in brain processing. We can confidently now say that ‘All Pain is in the Brain’ – a statement that just wouldn’t have made sense a few decades ago. All this information would be of mere scientific curiosity but it really matters. If the brain can change, can we influence that change in our favour? Can you learn to change the organ that is so critical for making us who we are. Neuroplasticity says the brain is actually built to change! So why not make the most of Neuroplasticity? Neuroplasticity has been described as the greatest medical breakthrough in the last 400 years. It’s a game changer that offers everyone with a brain, the opportunity to improve their lives. But it is still a concept that is culturally new. The Nobel Prize for Science in 1990 went to work on Neuroplasticity and pain but it takes time to go from the science lab to the water cooler. And that’s where it needs to be. A cultural understanding that if you change your brain and you change your life. It is a concept that has become so linked in with my work and my trainings that I often forget that it is still a concept that is new to people or that people only vaguely comprehend. So here is a basic overview for you. Colleagues and Neuroscientists will cringe at the simplification but it is aiming for a basic understanding only. I will give links to great books and videos to watch to deepen your understanding at the end. The term Neuro means the nervous system. Our central nervous system is the brain and spinal chord. The Plasticity part refers to the revolutionary concept that the nervous system is malleable, flexible changeable in both it’s structure and function. It is revolutionary because we used to think it was not flexible at all. We thought the brain was made up of specific regions and that each region had it’s own important function. We used the think that the brain formed in the womb and continued developing in early critical childhood period. By late childhood the brain had finished developing. It was believed to be the only organ in the body that couldn’t heal or change. The implication of this old ‘static brain’ concept was that if you had devolopmental or trauma issues early on then there was little you could do. You were at the mercy of those developmental years. Also we thought if there was deterioration in brain function with age or brain injury then there was little we could do. We were at the mercy of our age and genetics and we just had to get along as best we could. It turns out that not only we were wrong we were embarrassingly wrong. The brain does change and adapt. It is actually built to adapt and change. It retains this capacity until the day we die. So we have a brain that has built into its function the capacity to change. To rewire. To change its structure and function to create a better life. We can be stronger, happier, healthier, smarter. We can be more happy and healthy, day by day. If the brain can change, we can change. Making change however takes effort and energy so the brain will only change if there is a need. If there is not a need to change it won’t. Some neuroscientists call it a lazy brain, but I think it is more about efficiency. It changes if it needs to. If it doesn’t need to then it won’t. The brain will change if there is a benefit to us. Benefits tend to fit into two categories. They either positive changes to get us to thrive or they are changes that keep us alive. If something is dangerous to our survival then the brain will change to protect us and keep us safer. But here is where I think it gets really fascinating. For the brain to decide what is dangerous it LEARNS. It can learn from past experience, from conversations, from the news, from watching others, from the internet. From all the sensory input it has received from its early development. Your brain is unique to you and is formed through your life experiences. No two brains are the same. They have been changing since the beginning and bring you to NOW. For some, NOW is now really working for them. They are in a stuck state. The brain changes in order to make life better, easier, more efficient and SAFER. But it is also easy to get into a neurological rut. This is known as the dark side of NEUROPLASTICITY. Anything we repeat often enough or under certain conditions, rewires the brain so that becomes easier and eventually effortless and automatic. This includes emotions, feelings, behaviours, physiological responses. So with certain neuroplastic change, people can become stuck in a rut where their brain and body really isn’t operating in a way that is creating an optimal life. But the exciting part of Neuroplasticity is that brain is the most flexible and trainable organ we have. Just because we are stuck, doesn’t mean we can not potentially become unstuck. When we understand the nature of the rut and have the tools to get out of those neuroplastic ruts, then we can do incredible things. For the chronic conditions I work with change is required at the neuroplastic level. But a neurosurgeon can’t do it. But you can. Retraining sleep pattern alters brain function. Regular physical activity plays a special role in neuroplastic change. Addressing trauma or stress hormones influences brain function. How you think changes your brain. Everything we do can influence the brain and body in important ways. What you do, how you move, what you think, say, feel, remember, expect, focus on or imagine changes your brain. All these things can become automatic and create change in our brain. These are all things that you can learn to control and take back control of your brain and life. Your past experience has given you a unique brain that is helping to make you who you are and how you experience the world. But you are not at the mercy of your brain. You are not at the mercy of your past. If you are curious to learn more about Neuroplasticity then I would recommend Norman Doidge’s 2 books. The Brain that Changes Itself & The Brain’s Way of Healing. You can be skeptical or you can be curious about neuroplasticity. And thanks to Neuroplasticity either can become a habit. I would recommend curiosity and a willingness to learn. It will change your brain and your life. There is a great TedTalk (below) by Michael Merzenich ‘the Pioneer of Neuroplasticity’ if you enjoy going to the movies. If you prefer to kick back and listen to podcasts, then download the Brain Science Podcast interview with Michael Merzenich. And of course if you would like to talk to a real person, and learn more about my work and how it might help you then it’s as simple as making contact.